I’ve never been to a yoga class, but I’ve taken 30 minutes to exit a baby’s room in slow motion… so I think I’ve done all the positions. 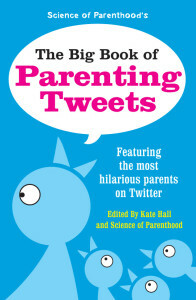 I have long wanted to add author interviews to my website, and I can’t think of a better opportunity to start than now with Kate Hall who helped create the recently released Big Book of Parenting Tweets. 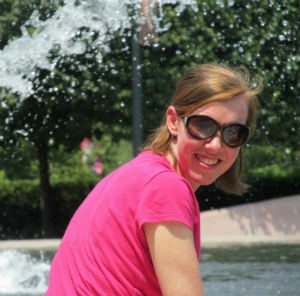 Kate Hall has been named one of the 100 TopTwitter Users in Chicago and is the creator of the blog Hall of Tweets where she interviews Twitter comedians and curates a monthly Top 10 Funniest Tweets list. 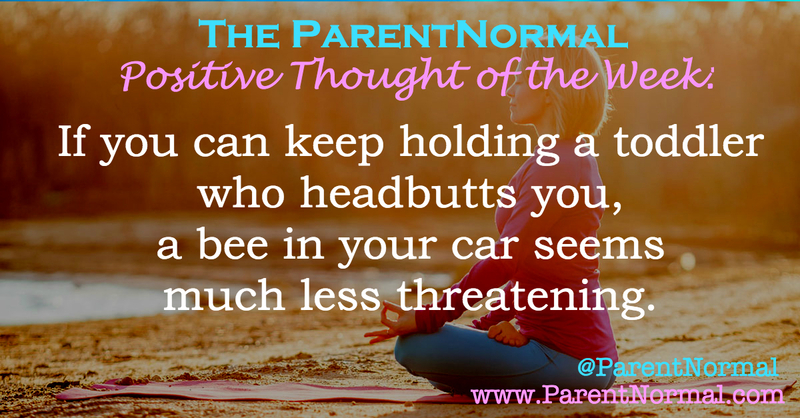 Kate’s own comic tweets routinely make HuffPost Parent’s Funniest Parenting Tweets of the Week and have been featured on NickMom. When not on Twitter or writing about Twitter, Kate blogs at Can I Get Another Bottle of Whine?, where she writes laugh-out-loud stories about the reality of life. Her essays have also appeared on Scary Mommy, BlogHer, Chicago Parent, TheHuffington Post and in The HerStories Project anthology. Kate lives in Chicago. Facebook may be the modern photo album where babies are always smiling, toddlers are spill-free and teenagers aren’t too cool to pose with their parents in every picture, but Twitter is the home for the all of the moments captured in between. One glance at a parent’s Twitter timeline and you’ll learn about the spit-up or headbutt that landed the moment after a Facebook photo was taken. As the home of things parents don’t usually say out loud because there’s nobody old enough nearby to understand or because it’s just too honest, Twitter is a never-ending spring of parenting humor. Every mom and dad should spend a few moments a day reading parenting tweets if only to realize they aren’t alone in the blind chaos of parenthood. If you aren’t already using Twitter or know how it works, Kate Hall of Hall of Tweets and Norine Dworkin-McDaniel and Jessica Ziegler of Science of Parenthood are making it easy for you. They just released a book called The Big Book of Parenting Tweets that features more than 300 hilarious parenting tweets, many of which have been illustrated for the book. In full disclosure, some of my own tweets I send from @ParentNormal are included in the book, but so are so many others that you’ll recognize as frequent voices on HuffPost Parents’ and NickMom’s weekly list of funniest parenting tweets, among many other top parenting twitter lists. Imagine having kids… Wrong, you don’t have time to imagine anymore. The baby said “Hot Mama” 10 times in a row. She was talking about her oatmeal, but I’ll take whatever I can get. How to calm a crying baby: 1. Pick it up. 2. Ok, so when it turns like 5 you can put it back down. Good luck. Parenthood is simply an increasingly ridiculous escalation of threats until you’ve taken away the possibility of having a pet llama. She took 4 y/o to the park & texted “Can I get her ice-cream?” Get her a heineken for all I care. Free babysitters get to call the shots. 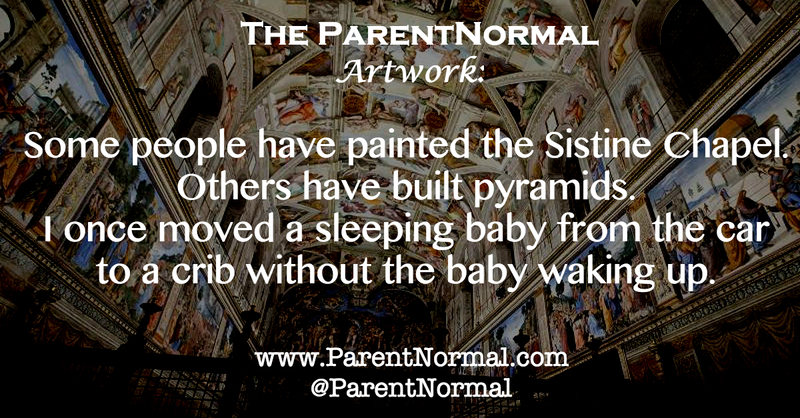 Reasons my 2-year-old threw a fit today: 1) I woke her up. 2) Her socks felt funny. 3) Her balloon was too floaty. Cutting a baby’s fingernails is like cutting the red, yellow and green wires on a bomb, hoping each clip doesn’t set off an explosion.